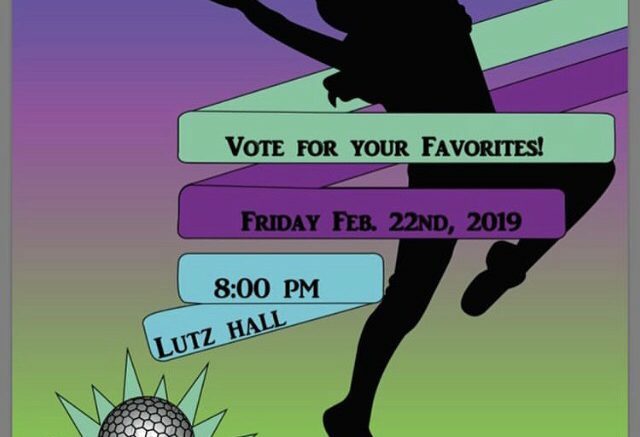 The Lebanon Valley College Dance Team will host the third annual Dancing with the LVC Stars event on Friday, Feb. 22. LVC’s Dancing with the Stars showcases members of the dance team and faculty members dancing together in groups throughout the night. The audience can then vote for its favorite group by making a donation into the bin of those dancers. Half of the proceeds will go to the charity of the overall winners’ choice, and the other half will be donated to the Dance Team. Last year, the Sexual Assault Resource and Counseling Center (SARCC) was the chosen charity. Some of the charities picked this year by contestants include Special Olympics, THON, Make A Wish Foundation, American Diabetes Association, SARCC, Lebanon Valley Council on the Arts and The Caring Cupboard. Once all the dancers have performed, the group that receives the most donations will be this year’s winner and will have the honor of receiving the trophy. “Everyone has been working very hard and I’m excited to see how it all turns out on stage,” Anastasia Bowersox, a senior biology major and fundraising chair of the Dance Team, said. The event is open to students and community members and is free to attend. It begins at 8 p.m. and will be hosted in Lutz Hall, located in the Bertha Brossman Blair Music Center. This year, there will be partners, some groups of three and some partners within a team. The partners will include Hannah Kostick and Matt Sayers, Rachel Sangrey and Noel Hubler, Olivia Ward and Kimberlee Josephson, Eryn Sommers and Dale Summers. Groups of three will include Carolyn Enigk, Parker Gallagher, Joel Kline and Yasmine Marley, Courtney Dierkes, Mike Hadary. The teams with partnerships will be Team Milosz: Lizzy Ramsey and Evangel Dimarco, Emily Frazier and John Lee, Taylor Heggan and Andrew Milosz. Team Student Affairs will include Anastasia Bowersox and Alice Rulapaugh, D’anna Sydow and Hannah Stone, Kiley Nierzwicki and Brandon Smith, Shannon Husband and Jen Evans, Kate Clipman and Caitlin Lenker.